Isabella Augusta Persse was born in the west of Ireland. Her family was educated, wealthy, and Protestant living in a land that was largely uneducated, poverty-ridden, and Roman Catholic. She took a strong interest in the Irish language, stimulated in part by a nurse who often spoke the language to her when she was a child. She met Sir William Gregory when she was on a family trip to the continent. The families were neighbors in Ireland, but only slightly acquainted. They were married the following year, when she was twenty-eight and he was sixty-three. 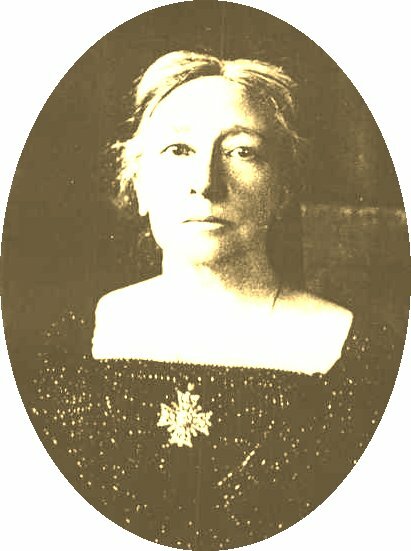 Lady Gregory led a relatively conventional life until Sir William Gregory died in 1892. According to the laws of that time, the estate passed to her son. In the process of finishing Sir William's memoirs, she used some of her spare time to learn Irish well enough to talk with the old cottagers in the hills, where she went to gather folklore and old songs. Although W. B. Yeats and others had collected volumes of Irish stories and poems, they did not know Irish well enough to authenticate what they heard. She was already an accomplished writer when she met W. B. Yeats in 1894. Their meeting was of immense importance for the history of drama for they decided to combine their complementary talents and abilities to create the Irish Literary Theatre. Dedicated to producing plays by Irish playwrights on Irish themes, the Irish Literary Theater became an immediate success. The group's first plays, Yeats' The Countess Cathleen and Martyn's The Heather Field, were performed on May 8 and 9, 1899, at the Ancient Concert Rooms in Dublin. Hyacinth Haley, The Doctor in Spite of Himself, The Gaol Gate, and The Canavans (all 1906). In 1918, her son, a World War I pilot, was shot down over Italy. The years that followed were years of struggle, managing the Abbey Theater, directing its affairs, and developing new playwrights, among them Sean O'Casey. During the Irish Civil War (1920-1922), she was physically threatened and her family home, Roxborough, was burned. In 1926, she discovered that she had cancer. She made arrangements to sell her home, Coole Park, to the government with the agreement that she could remain there for life. She died in 1932.